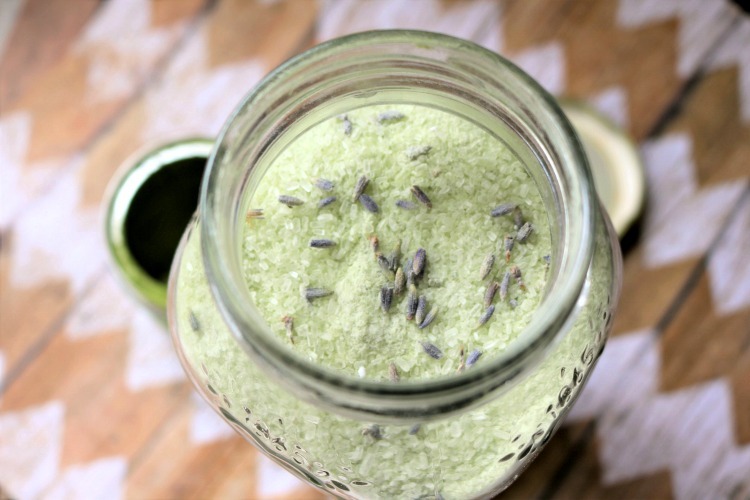 Are you searching for a homemade natural anti-aging bath salts recipe? 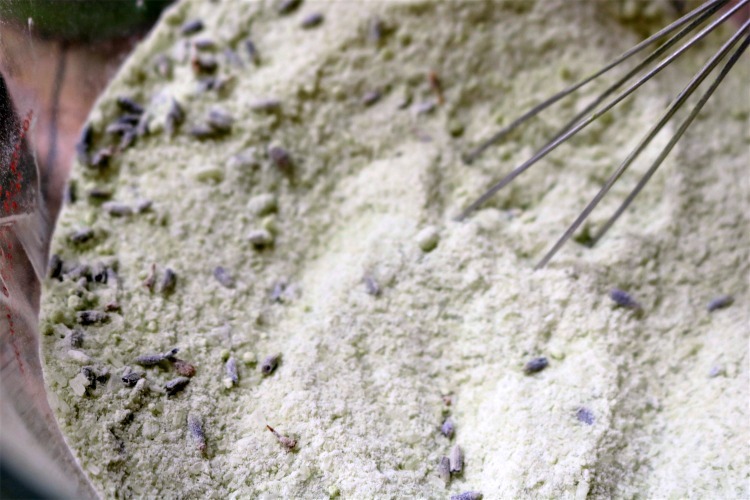 Learn how to make DIY Matcha Tea Bath Salts with essential oils. 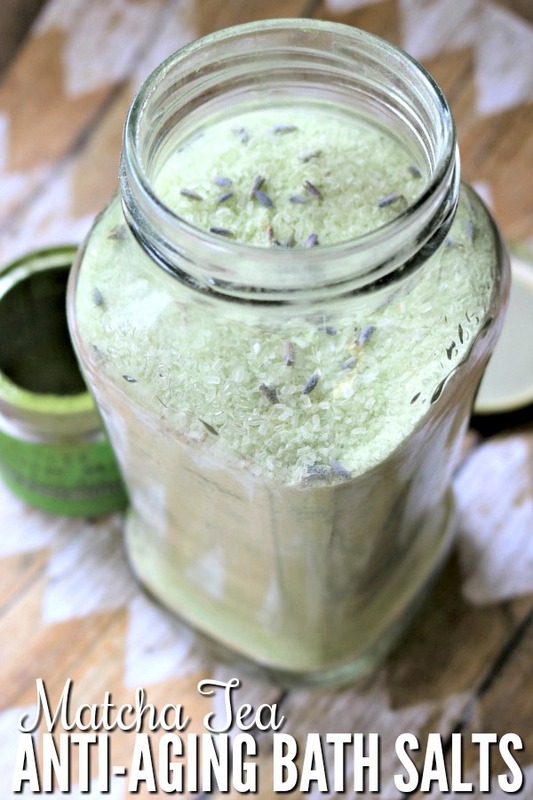 Bath salts are one of the easiest DIY projects you can do for a homemade beauty product. They don’t require a ton of different or unusual ingredients. 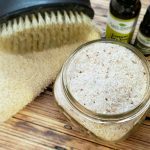 So, as long as you have a good base of some Epsom salts and baking soda to start with, you can easily change out the scents and essential oils to customize them for your benefit. 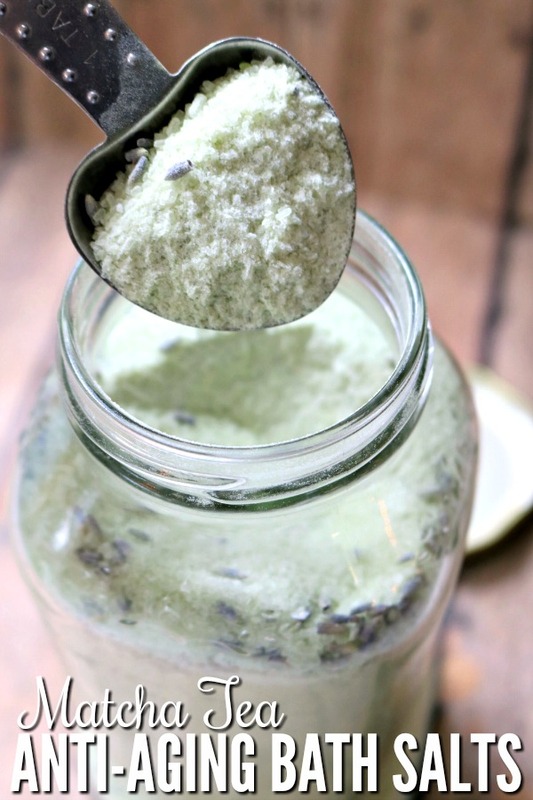 Today’s recipe for Matcha Tea Anti-Aging Bath Salts is great for your skin. If you aren’t familiar with Matcha, it is a powdered green tea that is full of antioxidants, and has so many health benefits. It is a detoxing tea, but it is also great for the skin and for helping to reduce stress and create calm. As you can see, Matcha Green tea is very versatile in DIY beauty products, making it a perfect anti-aging bath salts ingredient too. Add in a couple of your favorite anti-aging essential oils and you have a bath salt that will help you calm, de-stress and also be anti-aging for your skin. Make sure your jar is clean and dry. If you have an odor in the lid like I did (spaghetti sauce! ), rub a drop or two of lemon essential oil into it and clean it, and it will remove the color, odor and any residue. In a mixing bowl, measure out your Epsom salts first. They tend to clump up easily when stored, so be sure to break the lumps down with a spoon or other tool before measuring as much as possible, and break remaining clumps up in the bowl. 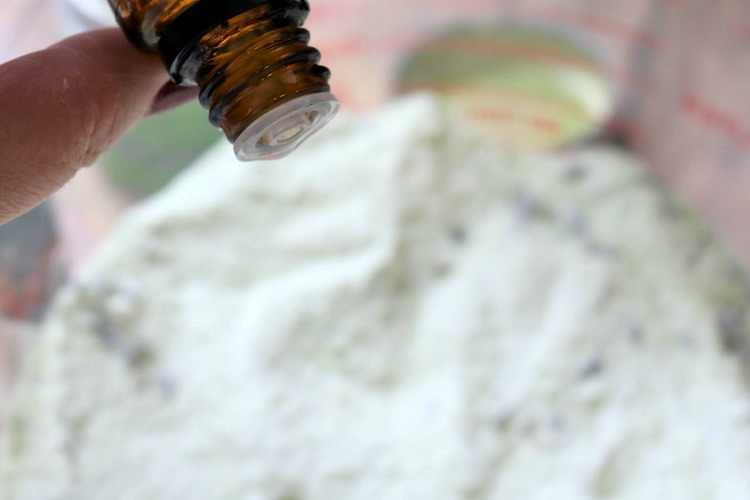 Add your baking soda to the salts. 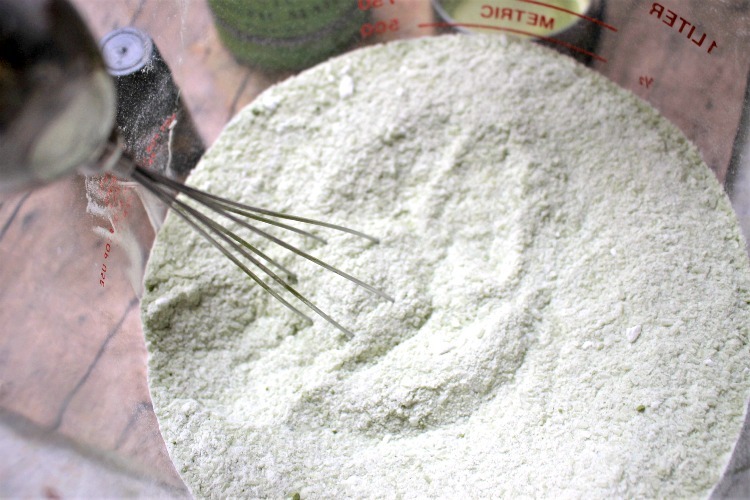 Whisk together and then add in the Matcha green tea powder. 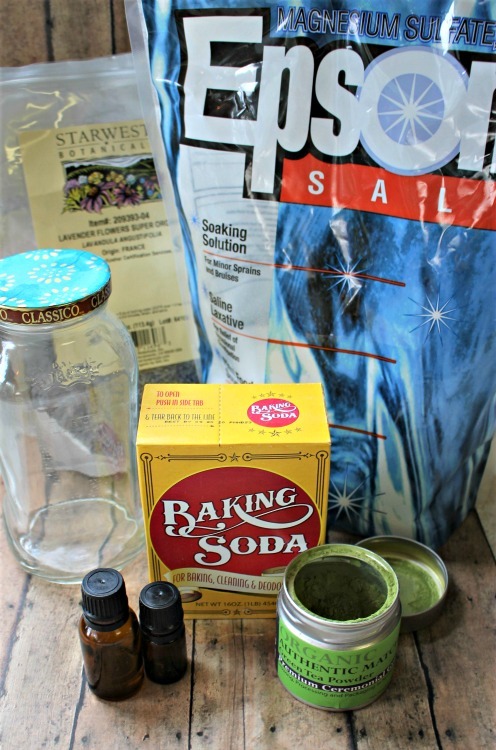 Mix your bath salts until you have a nice, even light green tone and an even consistency. Next, you will add in the lavender petals. They can tend to want to stay on the top of the mixture, so you will need to really turn the salts well a few times to work them in. If you leave too many in one spot at the top, they can end up being wet from the oil you are about to add, which can later cause the salts to harden and be ruined, so this step is important. The next thing is to add in the essential oils. Both of these oils are thin and flow fast, so just be careful as you pour to get just one drop at a time. Now, whisk the oils into the salts thoroughly and you are ready to put your Matcha Green Tea Anti-Aging Bath Salts into the jar. I used my tablespoon to transfer the salts over since my jar had a fairly small mouth. It works better to spoon it in than to pour and end up spilling them. Once your jar is all full, all you need to do is to add a label and maybe some twine or ribbon if you choose to give these salts as a gift. Pour about ½ cup of your Matcha Green Tea Anti-Aging Bath Salts under warm running bath water and then soak in the water. Rinse your whole body with clean water when done to help flush toxins. 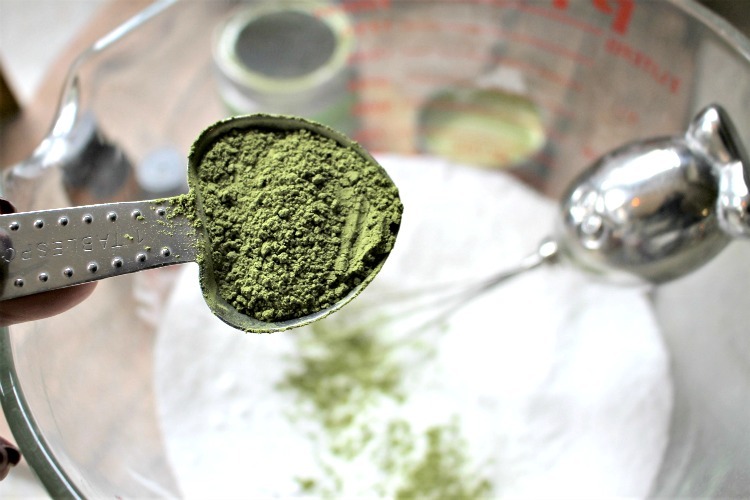 Do you have other DIY beauty products you use Matcha Green Tea in? Hi , I really like the ingredients and I’ll make it and mention it to You for sure .